Hi everyone, it's time for the Ann Butler Designs and ETI blog hop. 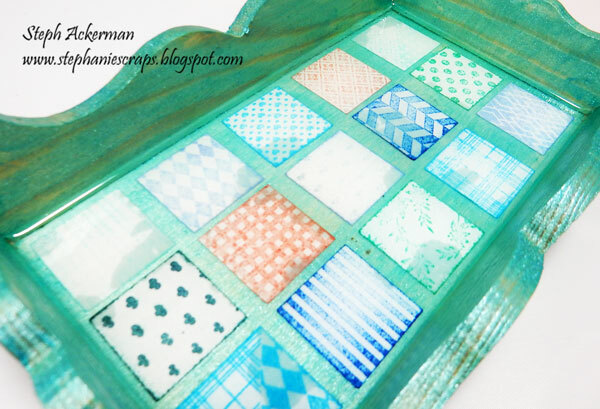 I began by painting a wood tray with Ann Butler Designs Aquamarine Iridescents. I love how the color goes on smoothly and varies with the grain of the wood. I painted it 3 times and the tray got a little darker with each application. I inked up a variety of Ann Butler stamps by Unity Stamp Company with Ann Butler Designs Crafter's Ink and stamped them on white cardstock. Using a 1" punch, I punched out a variety of stamped squares. Then I painted Ultra Seal on the bottom of the tray and lined up the stamped squares. I painted on another layer of Ultra Seal to seal the papers in place before proceeding. Following the Manufacturer's directions, I mixed equal amounts of ETI's EasyCast Clear Casting Epoxy resin and hardener in one cup for 2 minutes. 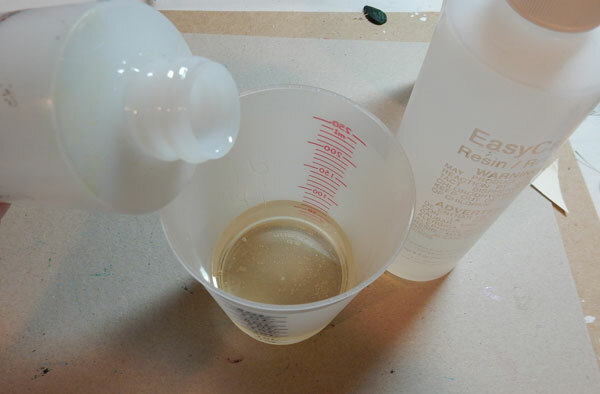 Then I poured the mixture into another cup and mixed again for another minute before pouring into the tray. 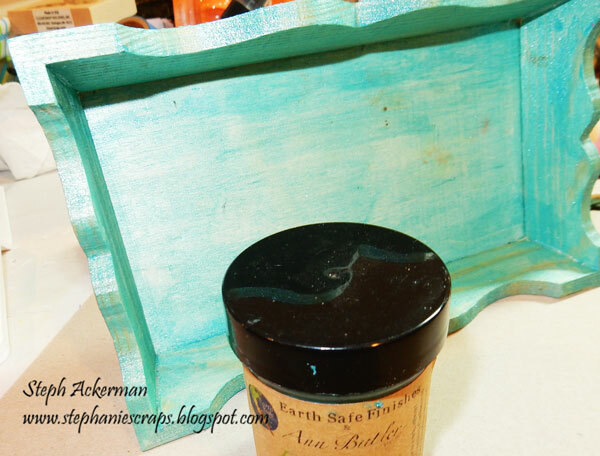 I put the tray aside for 24 hours to allow the resin time to cure and harden. 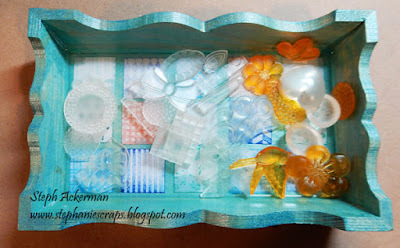 My tray perfect for holding all kinds of things that tend to get "lost" on my craft table!! Check out all those resin goodies waiting to be used! 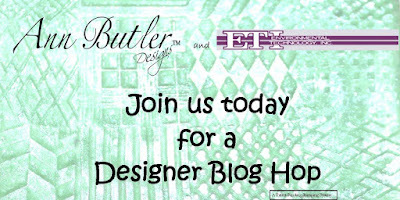 Please stop by everyone's blog to see what they've created. 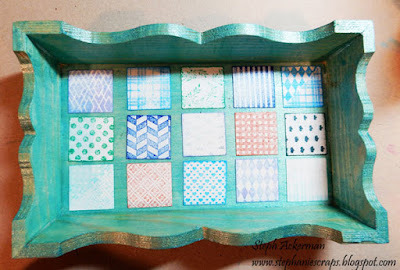 What a great project Steph, thanks for hopping along!! Love it Steph. What a fabulous idea.